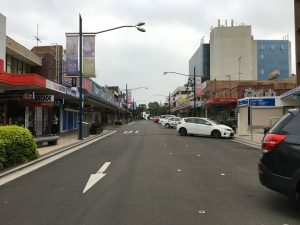 Initiative: Campbelltown Council is ramping up its small business program for 2019 to help grow the local economy. Just as a big year helping local firms comes to an end, Campbelltown Council is already planning new programs for 2019. As part of its 2018 small business program council delivered no fewer than 44 business workshops and events. Council now plans to ramp up is support of local business with the introduction of two new programs next year. One of them is an economic gardening program, which provides an alternative strategy to boosting local economies by focusing on growing from within. The program is centered on the concept of assisting businesses to focus on strategic growth challenges, such as refining business models, developing new markets and gaining access to competitive intelligence. It consists of five workshops, an extensive coaching component for the duration of the program between consultants and the participating businesses, and a final graduation ceremony. It will be offered to Campbelltown businesses from March to June 2019, following an expressions of interest period. The second initiative to be introduced next year is a business development scholarship program. Four Campbelltown based micro businesses will get the opportunity to work from the Business Development Centre Macarthur (BDC) in Smeaton Grange for a six month period. There they will be provided with fortnightly workshops on a range of business development subjects, an individual mentoring program and other professional support services. Campbelltown Council has joined forces with BDC to offer the four scholarships. The scholarships will commence in March and interested Campbelltown businesses are invited to register their interest by completing an online expression of interest application which will be available on council’s website from next Monday, December 10 and until February 3, 2019. These two initiatives are set to make council’s small business program even more popular in 2019. This year more than 700 registrations were received across the program, with 97 percent of participants indicating that they were satisfied with the business related workshops and events that council had to offer.